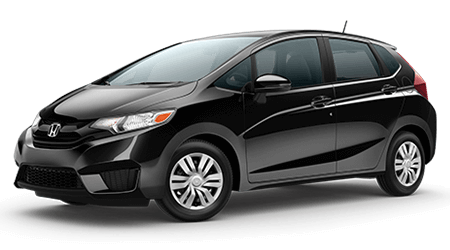 Brandon Honda has the Honda Fit for sale in Tampa, and we are thrilled to show you everything there is to love about this sporty hatchback. The new Honda Fit is ready for action with a new engine and transmission, the 2016 Fit five-door is ready to take America's roads by storm. Come and find a Fit that "fits" your driving needs at Brandon Honda, serving all of Tampa and Tama Bay with a wide selection of new Honda cars for sale. The 2016 Honda Fit is a stand-out star in the subcompact wagon segment, and though the Toyota Yaris tries hard to keep up, it falls flat. Just because you drive a subcompact car doesn't mean you don't need a lot of space inside your vehicle. But if you drive a 2016 Honda Fit, you won't have to worry about that! Honda packed as much interior space into the new Fit hatchback as possible, so you can pack your car full of everyone and everything you need to have a great time! The Honda Fit has 95.7 cubic feet of total; passenger space, compared to the Toyota Yaris' 84.4 cubic feet of passenger volume. In the front seats, the Fit offers more headroom, more shoulder room, more hip room, and more leg room than the Yaris and the second row is no different. The Yaris just can't measure up, so the point in this round goes to the 2016 Honda Fit. Another thing the 2016 Honda Fit gets right is cargo space, and having a lot of it! The new Honda Fit provides you with 16.6 cubic feet of cargo volume behind the rear seats, which fold and tuck away effortlessly thanks to Honda's ingenious Magic Seat system. After the rear seat is folded away, the Fit has 52.7 cubic feet of total cargo space. You can also easily reconfigure the Fit's seats to free up space for tall items up to four feet and for extra-long items up to seven feet. The Toyota Yaris, by contrast, has only 15.3 cubic feet of cargo space, and the seats in the base model are not split-folding. Toyota also doesn't even bother to note how much cargo space there is behind the front seats (for lack of a flat load floor). Chalk another up for the 2016 Honda Fit! Sure, not every hatchback is a hot hatchback, but the new engine in the Honda Fit certainly makes things exciting. The all-new powertrain is a 1.5-liter four-cylinder that is rated for 130 horsepower and 114 pond-feet of torque. 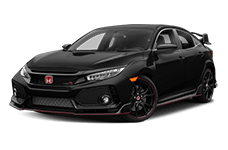 This new powertrain can be matched with either a manual or CVT with an available Sport mode and paddle shifters for an extra thrilling ride. 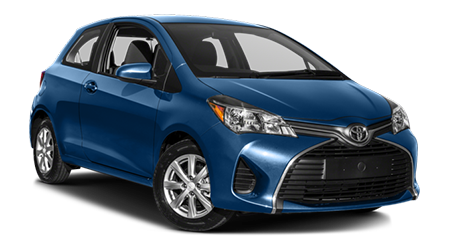 In the Toyota Yaris, you will also find a 1.5-liter four-cylinder engine, but it's only rated for 106 horsepower and 103 pound-feet of torque. The Honda Fit is simply more powerful and more fun to drive thanks to its available Sport system paddle shifters, so if you like to drive for the pure sake of driving, take the 2016 Honda Fit! Had over to Brandon Honda in Tampa, FL and explore the Honda Fit. 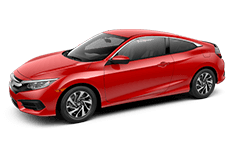 This impressively spacious and efficient (yet thrilling) hatchback is available now, along with the other amazing Honda vehicles, at our Tampa Bay Honda dealership.